CircuitWorks® BA Empty Dispensing Pens are offered to provide flexibility in using liquids. This unique dispensing pen allows the user to fill the pens with any liquids required, whether fluxes, flux removers, solvents, lubricants or other liquids. 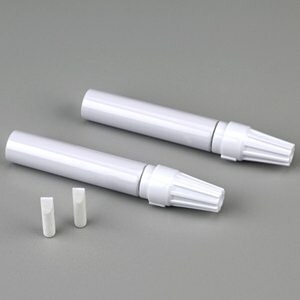 The body of this pen is made from durable aluminum, making it more resistant to corrosion than tin-plate dispensers. 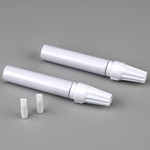 It’s large reservoir holds more material than most disposable pens, increasing use time between filling. The large stable base lets the user stand the pen on it’s end, minimizing bench space used, and it’s unique cap prevents the pen from rolling if laid on it’s side. Fill with your choice of liquids; fluxes, cleaning solvents, oils, etc.